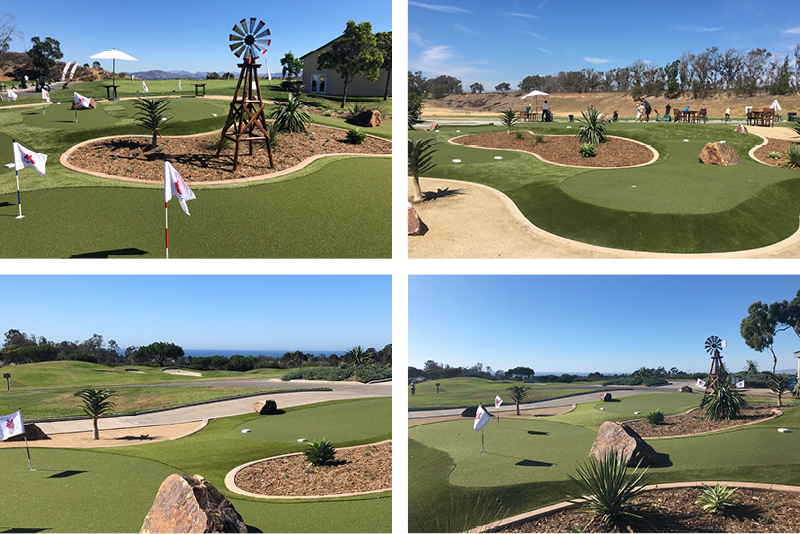 To commemorate the opening of our latest addition at Encinitas Ranch, we’ll be hosting a fun, challenging, family-friendly putting tournament on the new putting green course. Winners: Final tournament winners and prizes will be announced the following day via Facebook, Instagram and email. Be Part Of This Inaugural Event! Commemorate the opening of our unique, one-and-only putting course! Sign Up For A Putting Tournament Time Slot Today! We will contact all registrants in advance to confirm time & details. What is a putting course? The new putting green course is the only one of its kind in San Diego. Complete with two sets of challenges, the course features an easy set and a harder set. It features a windmill and benches around the greens where you can watch your friends putt and take in views of the Pacific Ocean. Please contact the pro shop at 760-944-1936 with any questions. Take Part In This First-Time Event!